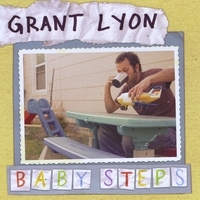 On June 25, 2009, Grant Lyon featured at the show I produce at the Morgan Hill Playhouse. It was also on this night that Grant recorded his debut CD. That CD is now available! I have listed to it a handful of times already and I think it turned out really well in terms of laughter and sound quality. Plus you can hear me at the very beginning! haha.